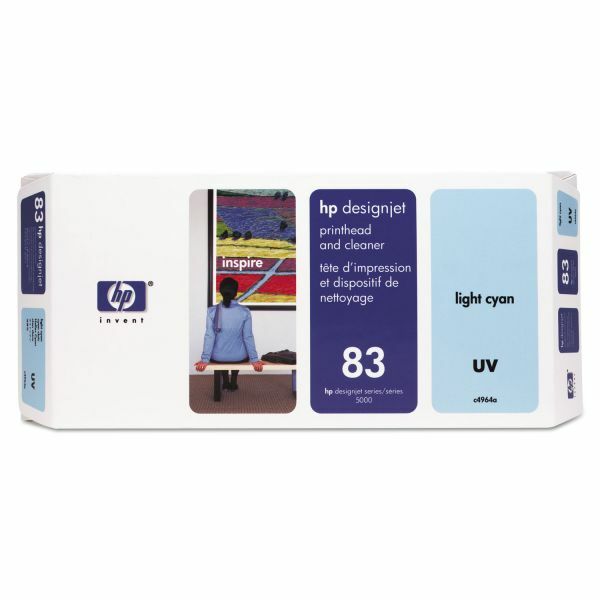 HP 83, (C4964A) UV Light Cyan Printhead and Cleaner - Get fast, no-compromise UV-resistant inkjet printing with HP 83 UV printheads/cleaner and HP Jetexpress technology. Offers a nearly 1 wide printhead. 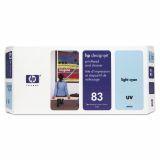 Designed for use with Hewlett-Packard Designjet 5000UV, 5000PSUV, 5500UV and 5500PSUV printers. 1,000 D size.